Holger Hass is appointed managing director of rt1.tv production. production company headquartered in Augsburg with branches in Berlin and Cologne. Prior to this, Holger Haas worked as a Sales & Marketing Director for PLAZAMEDIA GmbH in Ismaning. "Holger Haas has helped us to further expand the business of our company and to optimize processes within a very short time. 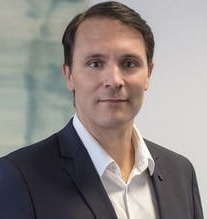 I am delighted that we will now work together in the long term and wish Holger Haas a lot of success in the new position," says Felix Kovac, Managing Director of rt1.media group GmbH, which is part of rt1.tv production GmbH.